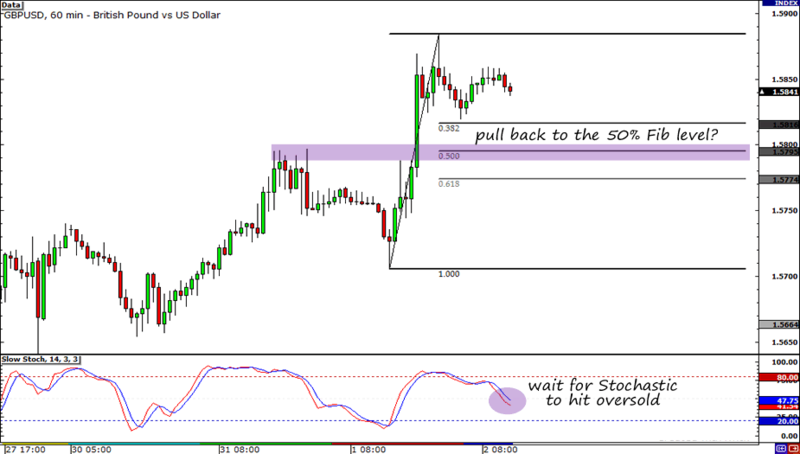 As I said in my update, I shorted EUR/USD as soon as I saw that a bearish candle materialized last week. Luckily the NFP report from the U.S. came in better than expected and kept the pair trading within its range. Whew! Then yesterday, the lack of any concrete agreements between Greece and its creditors weighed down on the euro and allowed me to take profit on my trade. 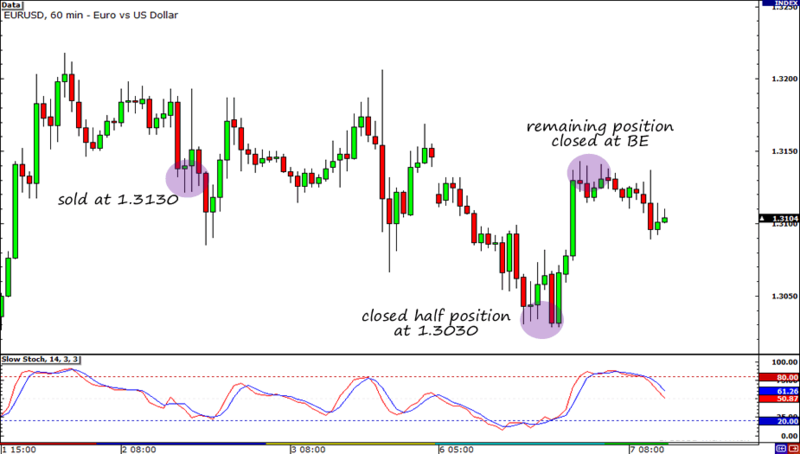 I closed half of my position as planned at 1.3030 and left the other one open its stop moved to breakeven. I thought that the risk averse sentiment that we saw during the Tokyo and London sessions would carry over and cause a downside break on the consolidation. However, it didn’t. EUR/USD traded higher and half of my position got stopped out at breakeven. Will it hold again? That’s the question that needs to be answered on EUR/USD. As you can see, price is about to retest 1.3200 for the fourth time this week, and I’m thinking this could be another opportunity to sell. I have some fundamental reasons for taking a bearish stance too. For one, Greece and its bondholders have not yet come to a bond swap deal yet. This, to me, is negative for the euro. The longer this drags on, the more doubtful the market becomes. Second, I think the upcoming release of the non-farm payrolls tomorrow will keep traders from breaking major levels and keep the pair within its trading range. After all, who wants to have a big position ahead of a high-risk event? If I see bearish signals on 1.3200, I’ll pull the trigger, place a tight 50-pip stop, and aim for the bottom of the range. That’ll give me a very respectable 3:1 reward-on-risk ratio. On the other hand, GBP/USD looks like a tempting long to me. 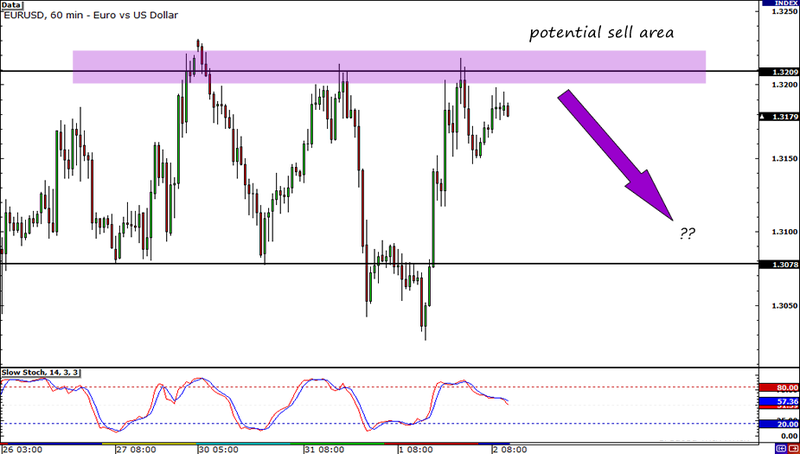 On the 1-hour time frame we see that the pair has been trending higher, making higher highs and higher lows. However, I think that before the pound resumes its rally, we’re gonna see it pull back a bit to its previous high around the 50% Fibonacci retracement level. When reversal candlesticks materialize and Stochastic indicates oversold conditions when price tests the 1.5800 handle, I think I’m gonna go long. If I do get in on this trade, I’ll set my stop at 1.5750, aim for 1.5850 as my first PT, and 1.5900 as my ultimate target. As for the fundamentals, I’m hoping that the U.K. construction PMI would beat forecasts just like the manufacturing PMI did in yesterday’s trading and boost the pound. So there are my two conflicting trade ideas! One is dollar bullish while the other is dollar bearish. Which one should I take? Which trade should I take? Please vote and help me out. Thanks a lot guys!